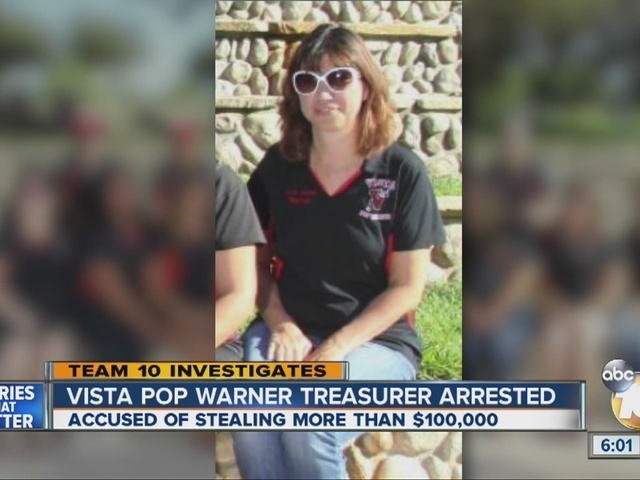 SAN DIEGO -- A teacher and former Vista Pop Warner treasurer and board member arrested on accusations she stole $100,000 from the organization pleaded not guilty Thursday. 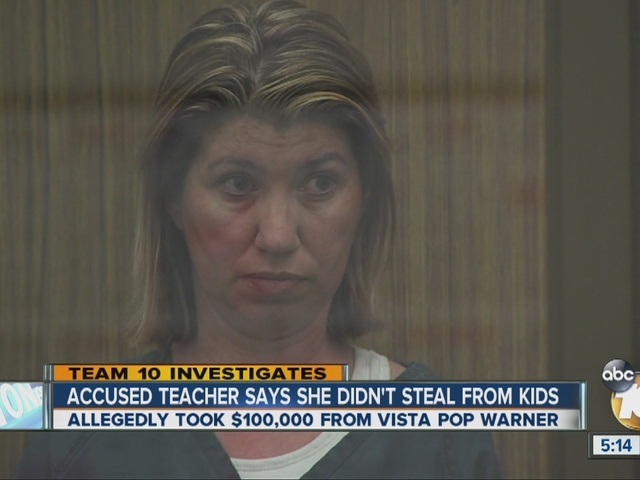 Rachel Owens, 41, of Vista was taken into custody Wednesday on multiple counts of identity theft and grand theft at the Guajome Park Academy in Vista, a charter school where she teaches math. She is being held on $300,000 bail. Owens was the treasurer for the Pop Warner Football and Cheer between October 2013 and November 2015. The sheriff’s department Cyber Financial Crimes Unit began investigating the case in November of last year. 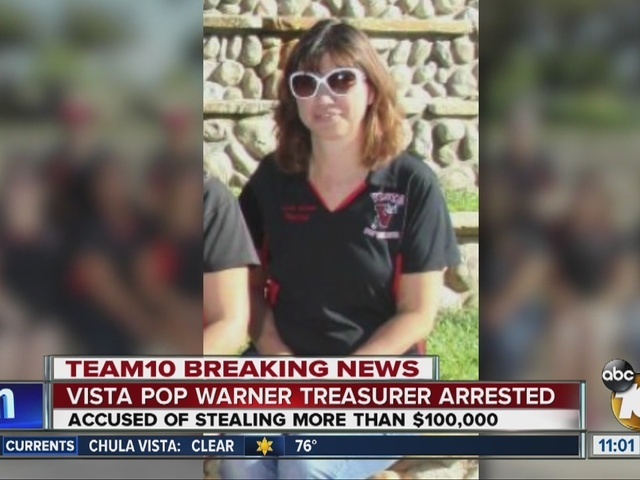 In Team 10’s early February coverage, Vista Pop Warner Vice President Andrew Staicer admitted that lax policies by the board of directors may have made it easier for the misappropriation to occur. Staicer admitted to Team 10 he sometimes signed blank checks in the name of convenience. He said it was common practice to pre-sign checks to pay for referee services. Staicer said that the board is made up of volunteers and it operates with a sense of trust. He added that the board had no reason to suspect wrongdoing until checks to vendors began bouncing last fall. "Forgive me, but a teacher who is also an accountant is one of the last places we're going to look for issues in that area," Staicer told Team 10. Staicer said the board was working to enact new policies to safeguard the association's funds. Players and parents showed up to Thursday’s arraignment to see Owens for themselves. “I would just say, why’d you take a tenth of a million dollars?” youth football player David Soto asked. “It’s not right. You can’t take money from kids,” Soto said. Owens faces 25 felonies, ranging from grand theft to identity theft. Owens could face 18 years in prison if convicted on all charges. “I’m trying not to take this personal because I do know that the courts will do their process and justice hopefully will be served,” said parent, Gerardo Navarro. There are about 300 children that play on Vista Pop Warner teams.